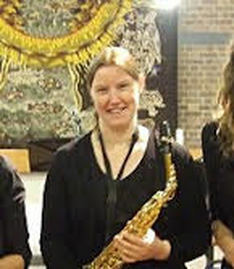 Louise is a clarinet, saxophone flute and music theory teacher based in Gosport, Hampshire who has a successful teaching practice at the Regis School of Music, Bognor Regis. Since graduating from the University of Chichester in 2005 with a BA (Hons) Music degree, she has enjoyed building a teaching practice in the local area and has taught a wide range of students over the years using a fun and varied approach. Louise also teaches the clarinet and saxophone at Great Ballard School in Eartham. As well as playing regularly as Principal Clarinet with the Portsmouth Philharmonia, she is also a member of the Auster Quartet, a saxophone quartet based in the South. Her main interest is in trebling (playing the clarinet, saxophone and flute) for amateur dramatic pit bands, and performing in big bands and function bands.